Corresponding pins need to be connected (pin 1 to pin 1, pin 2 to pin 2 and so on), and we leave pin 5 unconnected. 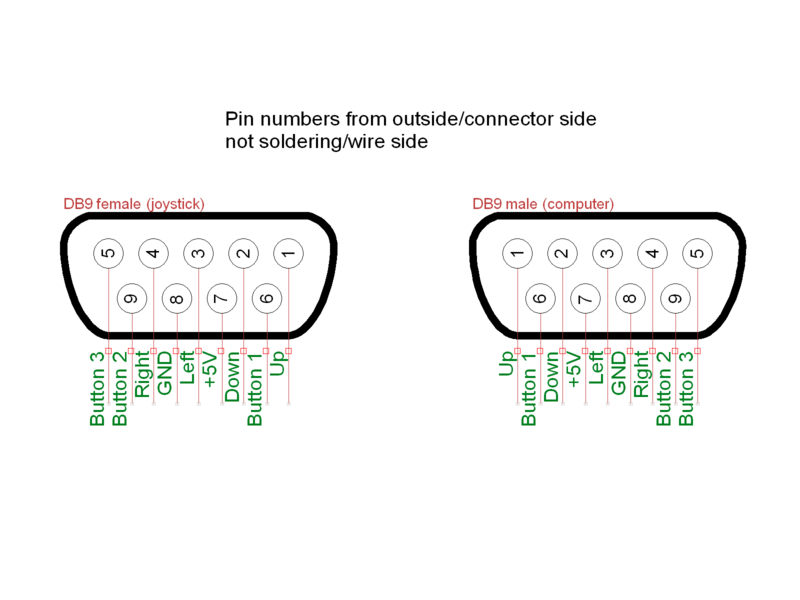 Those with eye for details might notice that pin numbers and their positions in connector for male/female connectors don’t match in this and previous picture. But that’s because of point of view. In previous picture we look at the connector from the “outside”, and in this from the “inside”, side where we’ll solder wires. Pin numbers and their functions are the same in both pictures and that’s the important part. Nevermind the “looks”, numbers are important and they’re noted on each connector. When you look at let’s say, male connector from solder side pin 1 would be on the right, and on the female connector it would be on the left. 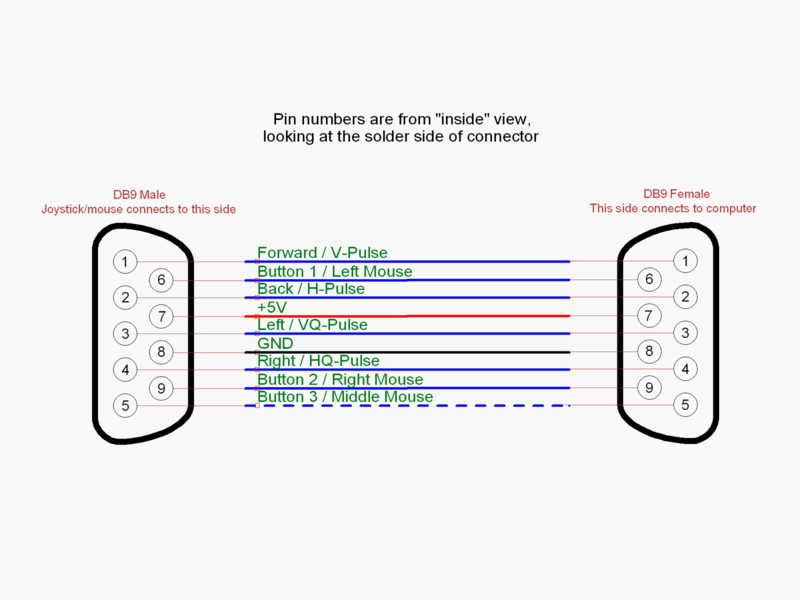 That’s how you decide where to solder, schematic is just to tell you to connect pin 1 on one connector to pin 1 on the other connector, check on real connectors where exactly is pin 1. And that’s it. Extension cable done for probably less than $4 a piece. Depends on connector price, if you don’t mind waiting you can get them from ebay for about $4-$6 for 4 pieces (2 male, 2 female) and their shells. In this case cable is the cheapest part. Just one more thing. Lately CAT6 LAN cable is getting really popular. In a nutshell it’s LAN cable that is guaranteed to work in gigabit networks over longer distances, but older CAT5 cable is better suited for this extension cord. CAT6 has better shielding than CAT5, that’s why it can be longer and still work at gigabit speeds, but downside is that it’s more rigid than older CAT5. 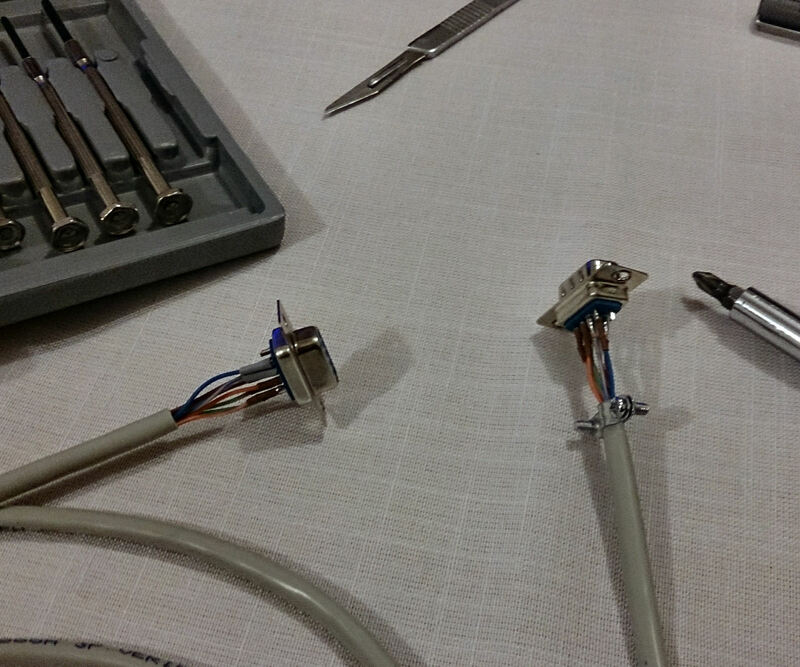 If you use CAT6 cable it will work the same, there won’t be any problems, it just isn’t so flexible as CAT5 cable. Another potential problem is the nature of LAN cable itself. Original joystick/gamepad/mouse cables have stranded wires, that makes it flexible, easier to bend. LAN cable has only one wire per one conductor. This means that it isn’t as flexible as original cable. For it’s intended use this is not a problem, it’s placed once and stays there for a long time. But as an extension cord it’s supposed to bend and move around. I don’t think this will be real problem, just don’t overdo it, like tying it in a knot, bending 180° and like as there is a chance one of the wires could break. Stranded conductors are more resilient in this regard. But if you use it normally there won’t be any problems. And if it does brake it’s easy to make another, just resolder connectors to new cable and problem solved. At least the cable is cheap :). Posted on September 21, 2014, in Amiga, Atari, Commodore, DIY, Retro computing and tagged Amiga, Atari, Commodore, extension, gamepad, joystick, mouse. Bookmark the permalink. Leave a comment.